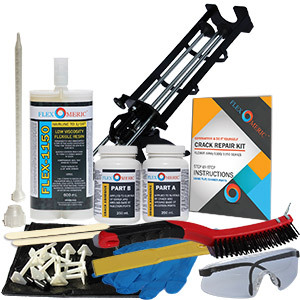 Shipping is free within Canada and U.S. on all Do It Yourself and Contractor Crack Repair Kits. Eligible items will display a Free Shipping icon next to the price. Orders are shipped using either UPS Standard, Canada Post Expedited Parcel or United States Postal Service (USPS) Parcel Mail. Flexomeric will determine which shipping provider to use on a per order bases. Your order will be delivered within 2-8 business day after the processing time. Express shipping options are also available through Canada Post, USPS, UPS and Fedex for an additional charge. Charges and options are available at checkout. If the items qualify for Free Shipping but your order also contains other ineligible items, you’ll be charged shipping fees for those ineligible items. Cancelling items, combining orders, or changing your shipping address, speed, or preference might affect your order’s eligibility for free shipping. Excludes items that do not include a Free Shipping icon next to their price. Also excludes certain custom kits. Applies to Canada delivery addresses in all provinces and U.S. delivery addresses in the 50 states only, including Alaska and Hawaii. Weekend delivery may be requested via phone order for additional charges depending on shipping time and shipping company. May be used in conjunction with a promotion code. The qualifying amount is the total amount of the products purchased before the promotion code is applied. 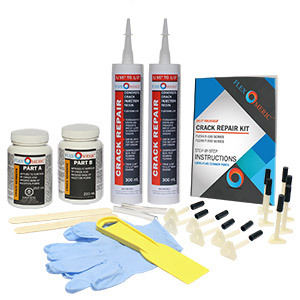 Flexomeric Crack Repair Products will not be held responsible for parcels that are not deliverable because of an incomplete/incorrect address or parcels that are not picked up in a timely manner and are returned to Flexomeric Crack Repair Products. Customers will be charged for delivery back to us and charged for the parcel to be resent. 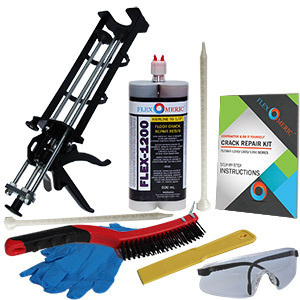 Free Shipping does not apply to orders sold to Flexomeric distributors unless otherwise specified.